Brien Posey's latest book is designed to act as a hands on guide for various enterprise networking products such as Exchange 2007, Office Communications Server 2007, Windows Mobile, and Windows Server, with an emphasis on telecommuting. 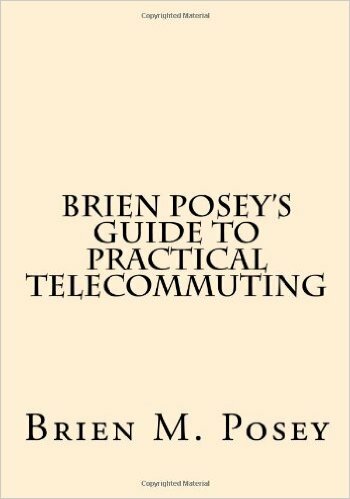 The book explains how telecommuting can be beneficial to businesses and employees alike, and then proceeds to demonstrate how to use technology to make telecommuting practical. In his trademark style, Posey breaks down complex topics such as Network Access Protection, the Windows Terminal Services, and Unified Communications into plain English. The book is easy to understand, and each chapter includes step by step labs that guide the reader through the deployment, configuration, and use of the various technologies that the book addresses.